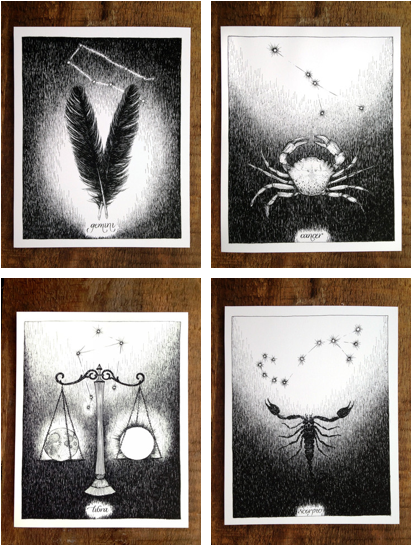 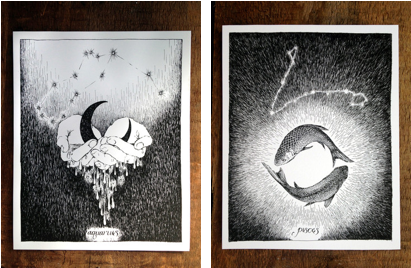 The Wild Unknown, makers of my favorite tarot deck, have announced a series of zodiac prints. 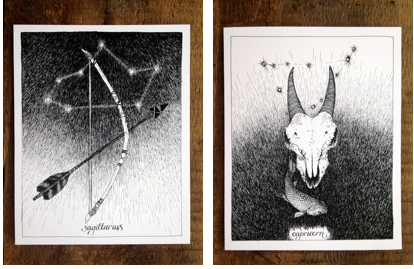 I might just have to get myself the Taurus print for my birthday next month. 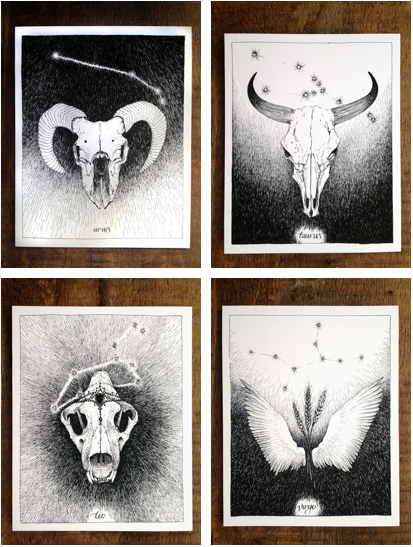 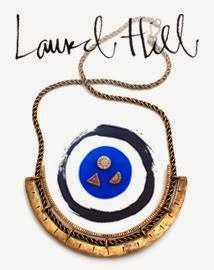 As you'd expect from The Wild Unknown, these prints are earthy, inspiring, and unique interpretations of each sign.